A beautiful property with a banquet hall and a bar. The rooms provided by the Hotel Aroma Inn are pieces of art as a lot of effort has been made to design and decorate the rooms. A lot of attention has been paid to minute details. 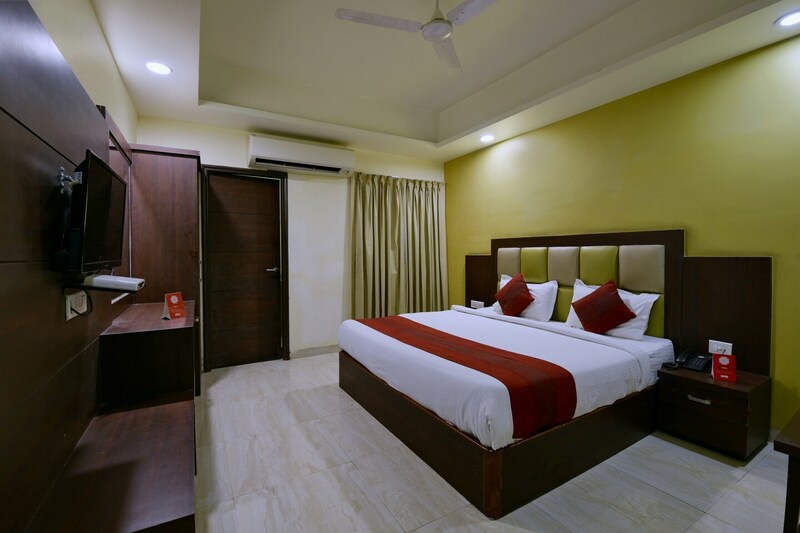 The rooms are well-furnished, and the wise use of artificial lights throughout the room and in the false ceiling makes the rooms well-lit. The rooms have been provided with large windows which help the guests enjoy bright light and fresh air. The additional features provided by the hotel are free Wi-Fi, parking provisions, a constant power backup source, and CCTV cameras. The in-house facilities comprise a bar, a banquet hall, and a common seating area. The front desk service has been decorated elegantly and is manned by some experienced and skilled staff personnel. The front desk service is surrounded by a well-furnished reception.